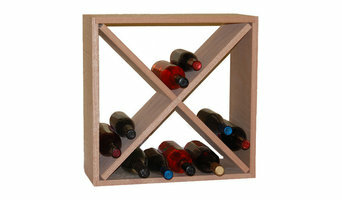 For than more twenty years, WineRacks.com has been providing residences and businesses alike with custom made wine racks and wine cellars. Crafted from environmentally responsible raw materials and locally built, our wine racks are ones you can be proud to display. We are proud to be a made in America company We are also always looking for new dealers and vendors to work with. Summit Wine Cellars LLC is a design firm owned by Fred Tegraskis. Located in Connecticut, we provide custom wine cellar design and construction to both residential and commercial customers from Bangalore to Buenos Aires. The firm provides artistic wine cellar innovations and expert installation of residential and commercial wine cellar racks and display systems. Each of New England Wine Cellars’ creative wine cellar designs is specific to our client's needs and vision, from dramatic theme concepts to simple efficient storage. Along with superior construction, we incorporate the most modern technology and techniques to exceed our clients' expectations. Consultation and design services are also available. 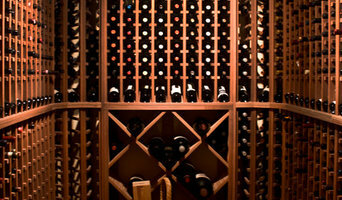 Commercial and residential consultation and design services are available to explore your custom wine cellar needs. New England Wine Cellars looks forward to serving you and would be pleased to provide references from satisfied clients worldwide. Join our family of satisfied customers by calling us today at 1-800-863-4851. Internet and Catalog retailer of every type of wine cellar on the market, along with home decor, tabletop and giftware all focused on the wine lover. If you’re serious about wine, you’ll want a serious place to store it. 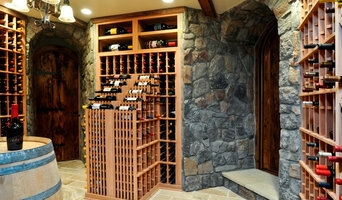 Enter Hillside wine cellar professionals, who specialize in designing, building and maintaining cellars to house your collection of bottles at the proper temperature and in the correct conditions. A good wine cellar builder in Hillside, NY not only is skilled in design and construction, but also knows enough about wine itself to provide an optimal environment to keep it at its peak. A New York wine cellar professional can help you determine the best cellar location, size and configuration, based on the number and types of bottles you plan to store and on your home’s layout. In addition to functionality, he or she will ensure that the cellar design and materials complement those used throughout the rest of your house. He or she may work independently or in tandem with a general contractor or remodeler. Here are some related professionals and vendors to complement the work of wine cellars: Design-Build Firms, Home Builders, Tile, Stone & Countertops, Ironwork, Specialty Contractors. Your Hillside, NY wine cellar professional also will oversee the preparation of the target space (moisture barriers, ventilation and so forth) as well as the construction process. Wine cellar builders select and install the necessary equipment and surfaces, from racks and cabinetry to flooring and lighting, and often handle special security systems to protect a homeowner’s collection.